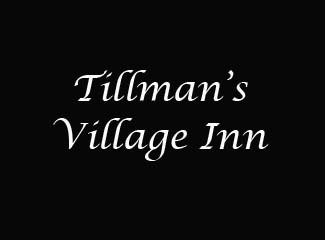 Download Video: Closed Format: "MP4" Open Format: "WebM" / "OGV"
Over 185 years Tillmans Village Inn has served historically great food! The horse and buggy on Tillman's signage is no fiction - it's fact. 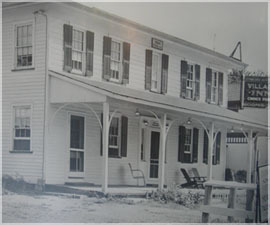 This historic establishment dates back to 1824, and guests can view the marvelous artifacts of centuries past throughout the restaurant. Nevertheless, Tillman's is definitely not a museum. It's an award-winning restaurant that has earned top marks from food critics, as well as a USA Beef Council award for menu excellence. Other honors have been bestowed for the restaurant's signature prime rib, steak and lobster. However, this eatery is equally beloved for its old-fashioned comfort food, including pork chops, chicken, house-roasted turkey, and hickory-smoked BBQ fresh from Tillman's in-house smoke pit. From the sea, jumbo Gulf shrimp, sea scallops, haddock, halibut, and Alaskan King Crab legs are just some of the lobster alternatives. From the grill, aged USDA Premium Choice Beef is served as 12-oz. - 36-oz. cuts of Prime Rib, as well as Filet Mignon, NY Strip, Delmonico, and 24-oz. Porterhouse steaks. What's more, guests may add some additional zing to their beef with a dozen different steak rubs, sauces, marinades and toppings. Look for American classics like Honey Pecan Chicken, Salisbury Steak and Rack of Lamb, along with fine wines by the glass and a Kiddy Korner menu just for the tykes. (Winter Hours closed Monday from January 1st until March 21st) 11:30 a.m. - 8:30 p.m.
"Red Hat Wednesday" the third Wednesday of every month with a special lunch and pricing.